Most people don’t realize that moving out of state might mean some of their plants will have to stay behind. Those prized rose bushes, the succulents that took a painstakingly long time to grow, the herbs sitting on your window seal – they could be scrutinized when you hit state lines. Today we’re discussing why some plants can’t be taken across state lines and how to plan accordingly. When it comes to moving plants there are state and federal regulations that come into play. Moving household plants may not seem like a big deal to you, but to government officials that have to handle disease outbreaks and insect infestations it is. States that rely heavily on a crop for revenue – potatoes in Idaho, citrus in California and Florida, corn in Minnesota – they will fervently protect their land with plant regulations. A number of federal entities, including the USDA, have outlined laws for transporting plants no matter where you’re moving them in the U.S. There is even a Plant Protection and Quarantine Program. If you’re moving to the U.S. from another country or shipping plants then there is a whole other set of criteria to contend with. If you’re just moving from one state to another you’ll need to look up the state guidelines at the Department of Agriculture or the Department of Natural Resources for each state you’re driving through or into. If you’re having trouble finding information for the state that you’re moving to contact your current state’s Department of Agriculture. They can provide guidance and point you towards helpful resources. If you check the guidelines for the states you’ll be crossing and find that one or more of your plants must meet strict criteria or aren’t allowed to cross state lines you’ve got a few decisions to make. The first question to ask is whether you really want to try and move the plant. If it’s prohibited this won’t be an option and can leave you with hefty fines if you get caught trying to sneak them in. It may be best to gift them to a friend or family member with a green thumb. If you want to move the plants you’ll need to follow the state’s guidelines in getting them ready for the move. You may need to change the soil, quarantine them or get them inspected by an official. There’s also a strong possibility that they’ll need to be inspected that the state border, because you’ll need to declare them. Plan ahead and pack plants so that they are easily accessible. If you don’t want to have to fuss with inspections at state lines then there’s the possibility of shipping the plant, however they still must meet certain regulations. You can also hire professional movers, but keep in mind some movers don’t do plants for the very reason that they can cause regulation headaches. It may sound like a lot of trouble for nothing, but transporting plants is serious business. Not only for local economies but also for the general health of an area’s ecosystems. 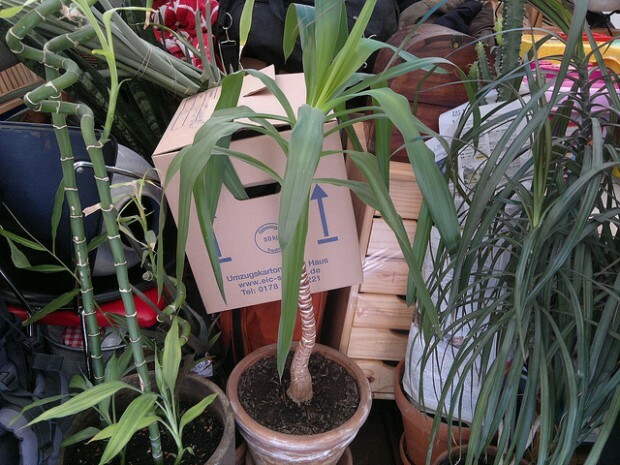 For more tips on moving plants whether you’re relocating within your state or across the country check out our post on safely packing plants up.